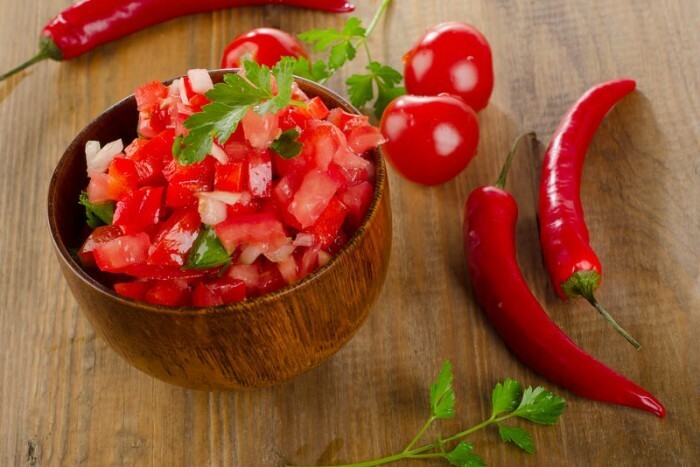 Salsa is the Spanish term for sauce, and in English-speaking countries usually refers to the spicy sauces typical of Mexico. You can use the small, fat green chilli peppers for this which tend to be less fiery than the long, thin ones. Knife Skills (Bridge & Claw); Fine chopping of herbs; Juicing; Seasoning to taste. Knife, chopping board, lemon squeezer, bowl. Finely dice the tomatoes into a serving bowl. Next chop the chilli very finely before adding to the tomatoes. Add the onion, coriander and lime juice, and season with pepper to taste. 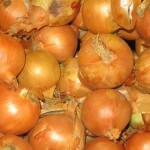 Onions are a member of the allium family of vegetables. Although allium don’t contain large amounts of nutrients, they do contain a range of compounds called phytochemicals. 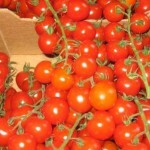 These have recently been found to be very good at helping us to fight disease..